The meeting was opened at 2:48 PM by the Chairman, Andrew, Viscount Dunrossil, who welcomed everyone. The Secretary read the email apologies from both Lord Lyon and Charles McKerrell of Hillhouse. The minutes of the last Annual General Meeting held 30 June 2014 in Edinburgh, Scotland had been sent to the membership and posted on the SSA website; no corrections were received by the Secretary. A motion was made and seconded to accept the minutes. Motion passed. LCDR John Glynn of Glynstewart, SSA Secretary, read the Secretary’s Report. A motion was made and seconded to accept the Secretary’s Report. Motion passed. The Treasurer’s Report was received by Col. W. P. Boswell, IPC who read it. A motion was made and seconded to accept the Treasurer’s Report. Motion passed. One of the highlights of the year for the society was the presence of the Lord Lyon, our President, at the COSCA symposium held in conjunction with the Loch Norman Games in April. One of the main events in the symposium was a panel discussion featuring Lyon, Sir Malcolm MacGregor, Convenor of the Standing Council, and myself, all expertly moderated by Dr. Bruce Durie, in which a number of topics related to clans, families, arms, and relations between Scotland and the diaspora were explored. Lyon Morrow emphasized that he was going to be both decisive and open to direct questions. He had already cleared the existing backlog of cases before the Lyon court and welcomed any enquiries. One avenue for obtaining arms which he is encouraging people to explore is for individuals who have been granted a certain office by their chief. It had to be the chief and not a clan society, and the office had to be long term, but this certainly opens doors for some people who had difficulty establishing their direct unbroken descent from a specific native of Scotland. One such office is that of shennachie, and we were grateful to Dr. Durie for developing an outline of a full shennachie training and certification course and are exploring ways in which the society might best associate with this, as it would seem to fit in with our educational mission and with the idea of the society as a source of authenticity, a resource for finding the right answers. The relationship with COSCA was also strengthened when both Dr. Durie and I, along with Sir Malcolm, were invited to be members of COSCA's (non-executive) advisory board. Neither I nor the vice chairman, Lord Montgomerie, was able to attend the SCSC AGM in Edinburgh this year, but relations with the Standing Council remain strong. I was able to meet with the Irish Minister for the Diaspora, Jimmy Deenihan, in San Antonio, as part of the Council's general interest in exploring ways the Scottish Government might help our own diaspora. Meanwhile it is notable that the SCSC has converted into a limited liability company in order better to explore commercial opportunities and endorsements of approved vendors, which could prove a valuable source of revenue for chiefs and clans. Nominating Committee’s Report: Committee Chairman Col. Boswell of Toberchurn nominated Andrew, Viscount Dunrossil to another three year term as Chairman however; his term is not up until AGM 2017; Hugh, Lord Montgomerie as Vice Chairman for a three year term; and LCDR John Glynn of Glynstewart as Secretary for another three year term. The nominations passed by acclamation. Further nominations were: Donald Draper Campbell; Maj. Randal Massey of Dunham; Charles McKerrell of Hillhouse; Hugh, Lord Montgomery; LCDR John Glynn of Glynstewart; and Col. Wayne Morgan for three year term as members of the Board of Governors. These nominations passed by acclamation. Additional Charles McKerrell of Hillhouse was elected as SSA’s EU Representative. The following is a list of tentative highland games that are being considered for ‘official’ SSA participation. The list will be refined based on invitations from individual games for SSA participation and SSA member’s availability to host a SSA tent. The 2017 AGM is currently planned for the Stone Mountain Highland Games, Atlanta, GA and the 2018 AGM is planned for the Estes Park, CO games. 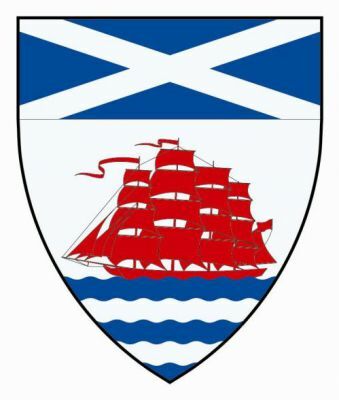 The Society has corresponded with the hosts (HSS) of the International Genealogical and Heraldry Congress that will be held in Glasgow, Scotland, 9-14 August, 2016. The current plans are for SSA to participate in some manner; in what manner is still to be determined. Charles McKerrell of Hillhouse and Dr. Bruce Durie will be our point men in this effort. The Scottish Tartan Authority (STA) sent a letter to the Society’s EU Representative, Charles McKerrell of Hillhouse, suggesting mutual support, and cooperation between SSA and STA in educating the public in our various expert roles; heraldry and tartan. It was decided that while this was a good idea worth pursuing, the Chairman will forward the letter to the Society President, Lord Lyon, to ensure there is not a conflict of interest with the Scottish Registry of Tartans. It was proposed, by Associate Member Cornelia Bush [added 10/15/2015], that SSA publishes a Armorial of member’s arms. The proposal was well received by those attending. The Secretary was tasked to poll the membership and gage their interest. If acceptable to the membership, details will be provided to the membership on what is planned and the cost. Our Chairman, Andrew, Viscount Dunrossil, and Dr. Bruce Durie are now on the COSCA Board specifically responsible for heraldry. The Secretary was tasked to contact Lyon Office and see if additional SSA brochures are needed. The SSA brochures are added to Letters Patents sent to Americans who have been granted or matriculated Scottish arms. Being no other business to discuss, a motion was made and seconded to adjourn the meeting. The motion passed. Adjourned at 4:15 PM.